When you need an electrician in Benbrook, TX, you can rely on Lightfoot. No matter when your electrical problem occurs, we have someone standing by to help you out. Yes, that means 24 hours a day, 7 days a week, even on holidays! We want you to know that you’re not alone when you’re facing electrical problems because we are here for you. 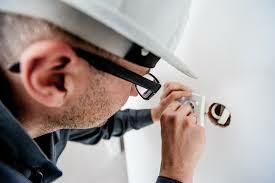 We offer comprehensive electrician services. That means that there’s no job too big or too small for us to take on. Whenever you need an electrician in Benbrook, TX, we will come out, take a look at the problem, and let you know what needs to be done. We do a lot of electrical repairs in Benbrook. That means we handle everything from flickering lights to adding fuze boxes to installing new switches, outlets, and more. There’s not much that we haven’t handled before. We also do electrical installations. When you need a new electrical line for your hot tub or your new outdoor lighting, we’ll help you get everything installed safely and according to code. If you’re adding onto your home, we can help make sure the electricity in your addition works well. No matter what you need or when you need an electrician in Benbrook, TX, Lightfoot is here for you. You don’t have to face the stress of your electrical problems alone. We will take that burden on ourselves. Instead of worrying, call in an expert and get the problem solved right, the first time!